Ridiculously good food (see delicious Puerto Rican recipes). I think being Puerto Rican genetically predisposed me to being attracted to all things delicious. 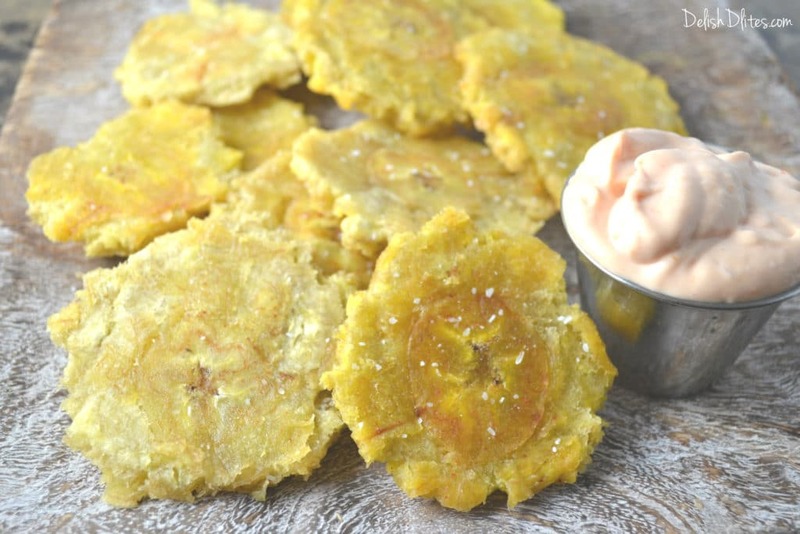 One of those delicious things I just can’t get enough of are tostones (twice fried plantains). 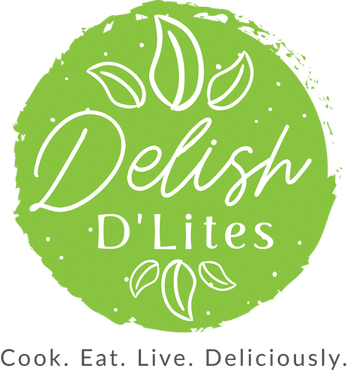 Yes, they’re as decadent as they sound. Puerto Ricans aren’t known to be subtle creatures. When we decide to do something, we do it all the way. If you’re gonna fry something, don’t just fry it once. That’s amateur stuff. 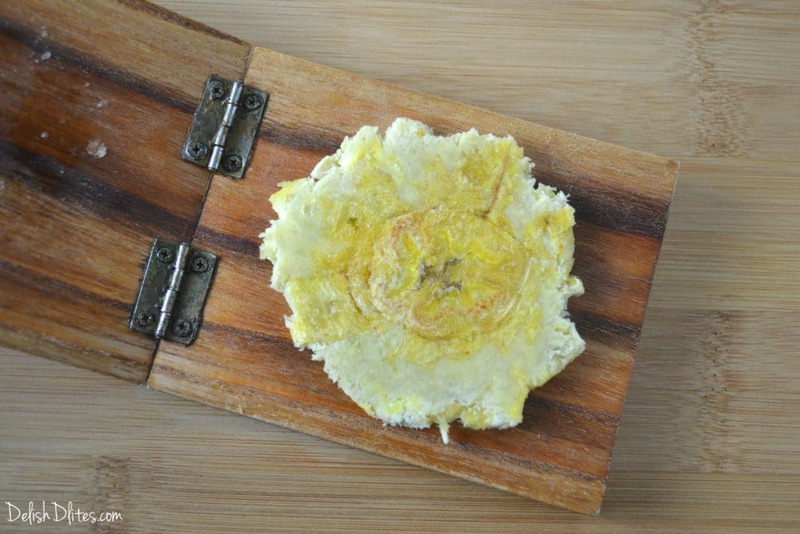 If you’ve had tostones, you know exactly why these crunchy golden discs are so damn good. 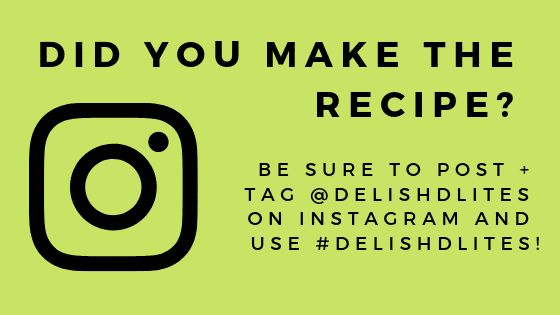 If you haven’t, it’s time to satisfy your curiosity, crack open a plantain, and realize just what you’ve been missing. 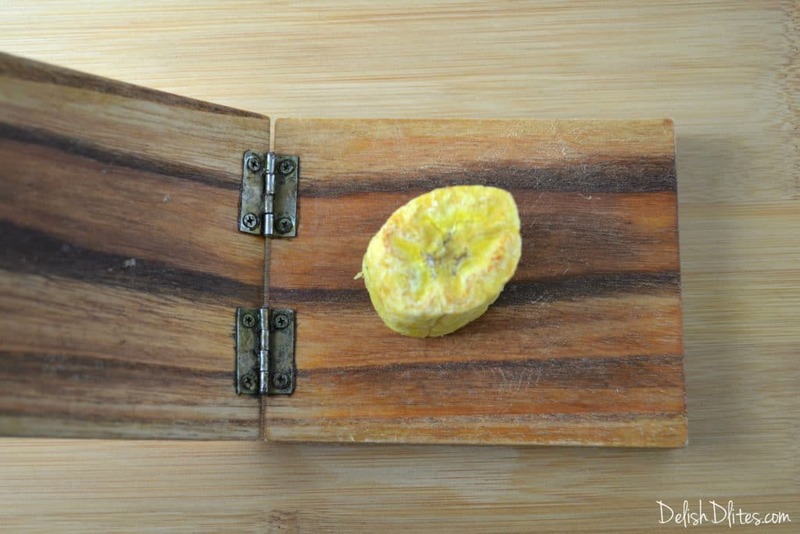 First, if you’ve never peeled a plantain, check out my post on making plantain cups. 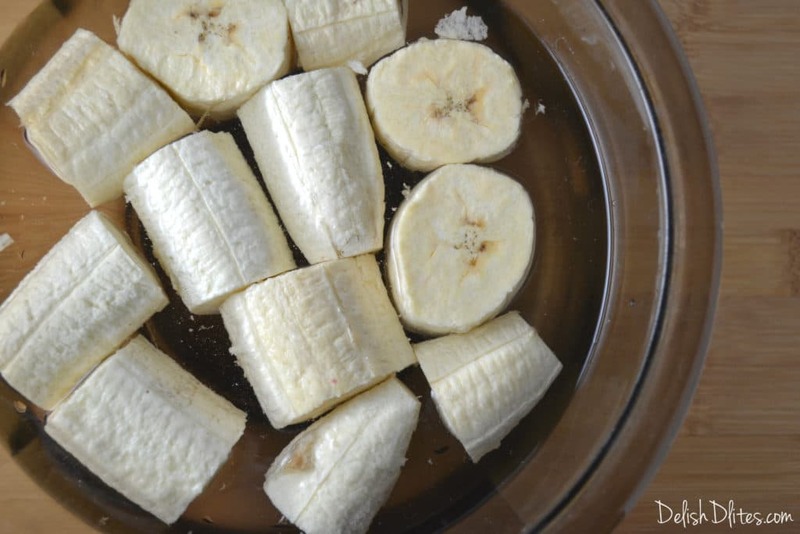 Once the plantains are peeled, cut them into 2 inch long chunks and place them into a bowl of cold salted water. This will prevent them from turning brown. Add about 1″ of oil to a pan, and heat it to medium heat. Drain the plantains well, then slide them into the preheated oil (be careful, they may spatter a bit). 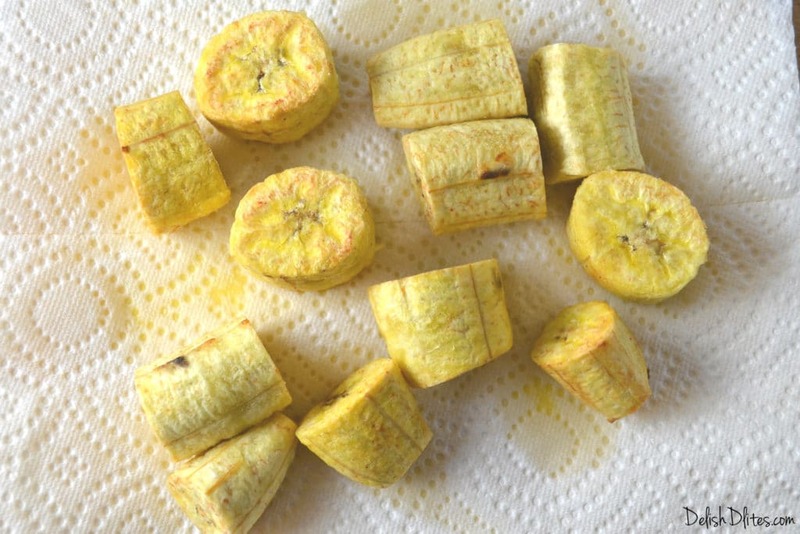 Fry the plantain chunks on all sides, until they’re tender in the middle (about 5-7 minutes). You’ll know if they’re cook through if you can slide a toothpick into the center with no resistance. Drain the plantains on a paper towel. …until it’s a flat disc that about 1/4″ thick. Once all the tostones are formed, pop them back into the oil, and fry them for 3-4 minutes more, flipping once, until they’re golden and crispy on both sides. Drain the tostones on paper towels, then sprinkle lightly with kosher salt while they’re still hot. 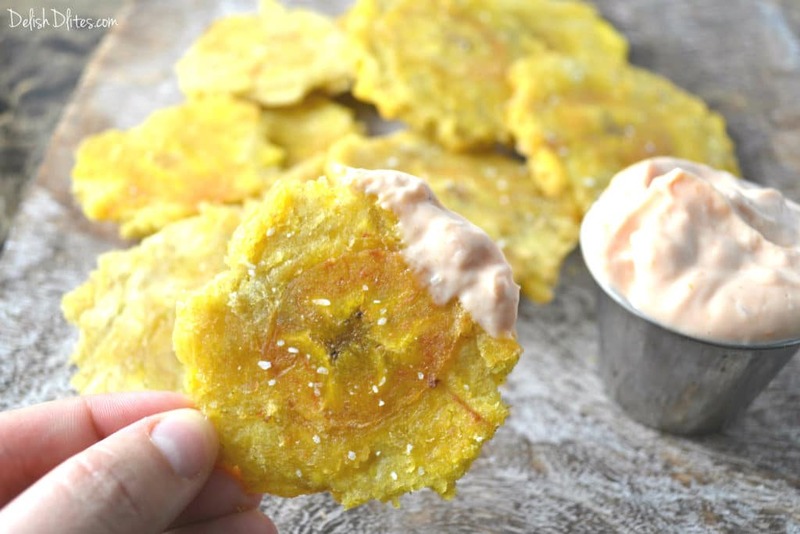 Mix up the mayoketchup by combining the mayo, ketchup and garlic, then proceed to dip the tostones to your heart’s content. 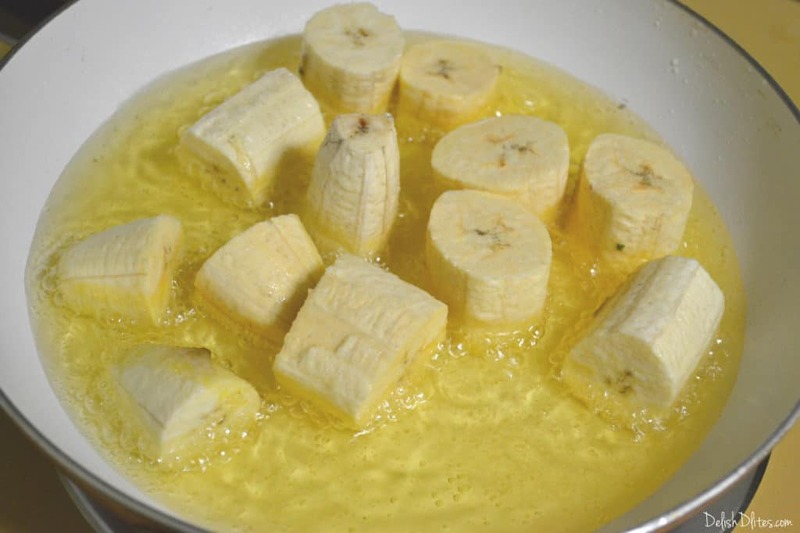 Peel the plantains, then cut them into 2 inch long chunks and place them into a bowl of cold salted water. This will prevent them from turning brown. Add about 1" of oil to a pan, and heat it to medium heat. Drain the plantains well, then slide them into the preheated oil (be careful, they may spatter a bit). Fry the plantain chunks on all sides, until they're tender in the middle (about 5-7 minutes). You'll know if they're cook through if you can slide a toothpick into the center with no resistance. Drain the plantains on a paper towel. 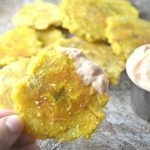 Use a tostonera, a small pan or a small plate to press each plantain chunk until it's a flat disc that's about 1/4" thick. Once all the tostones are formed, pop them back into the oil, and fry them for 3-4 minutes more, flipping once, until they're golden and crispy on both sides. Drain the tostones on paper towels, then sprinkle lightly with kosher salt while they're still hot. Mix up the mayoketchup by combining the mayo, ketchup and garlic. 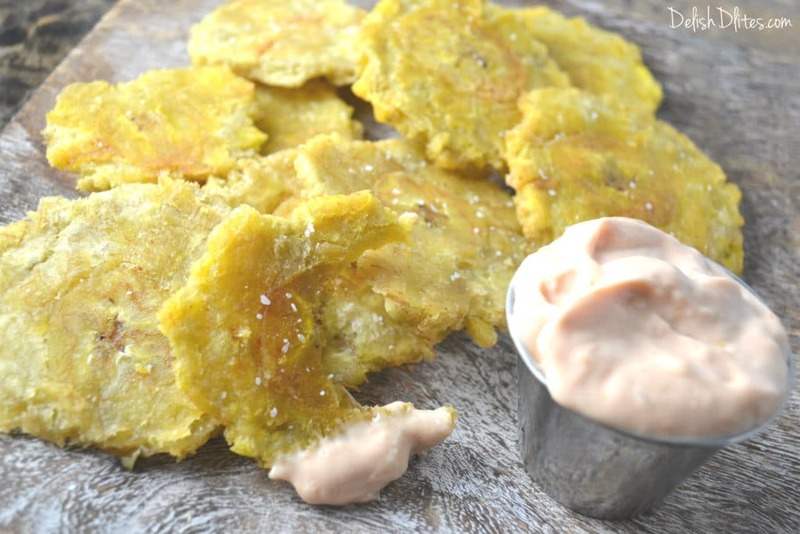 Serve the tostones warm with the mayoketchup dipping sauce. 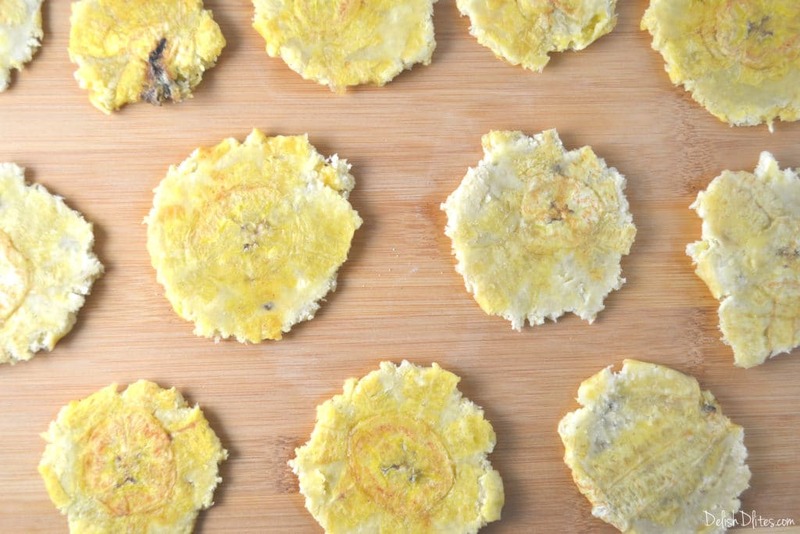 You can freeze tostones after you form them, but before the 2nd fry step. Just pop them into freezer bags and store. When you're ready to fry them up , pop them into hot oil right from the freezer, no defrosting required.